Thank you, Honolulu, Hawaii, for hosting Warehouse1 on another successful material handling equipment installation project! 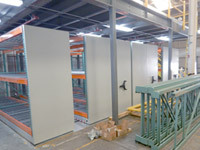 Warehouse1 provided equipment installation and material in Honolulu, Hawaii. We sold and installed a 436L Gravity Roller Conveyor System, Pallet Racking, Mezzanine, Vertical Reciprocating Lift, Cantilever Racking, Mobile Storage System, Modular Cabinets and In-Plant Office. Best of all, the weather was great and the beach looked amazing! Unfortunately, we were too busy with the warehouse equipment installation to enjoy the sun and the sand. 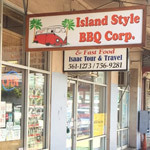 If you’re lucky enough to get to Honolulu, definitely try the Island Style BBQ joint at 2011 N King Street. The owner and staff are very friendly and the BBQ is delicious! While it’s not Kansas City BBQ (we may be biased) it is excellent with its own Hawaiian twist. Also, just behind the USS Arizona is our state’s namesake battleship, the USS Missouri. On September 2, 1945, the Empire of Japan surrendered to the United States aboard the deck of this battleship, nicknamed “Mighty Mo.” The USS Missouri now shares the same harbor with the USS Arizona. They are a symbol of the beginning and the end of the United State’s involvement in World War II. Thank you again, Honolulu! We’ll have to come back for another project soon. And when we do, we’ll have to add on a few more days for the beach!